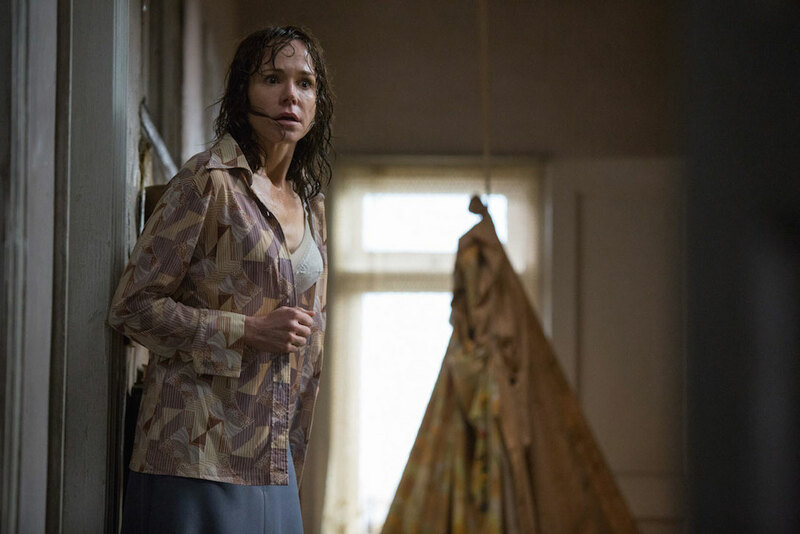 The Conjuring first came out in 2013 and created cinematic history for a horror movie. 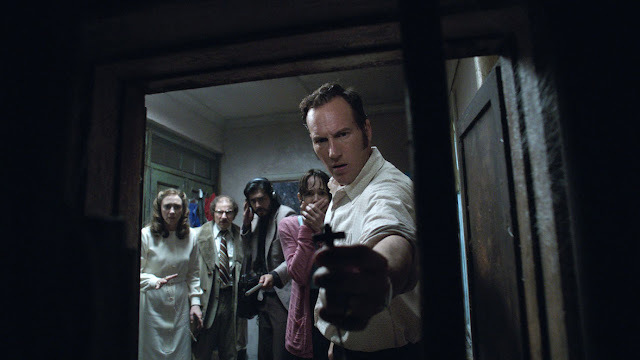 Directed by Malaysian-born James Wan (who also directed Saw, Insidious and Fast & Furious 7) and starring Patrick Wilson and Vera Farmiga as the famous ghostbusting couple Ed and Lorraine Warren, the movie was a hit in many countries and was catapulted into the same league as The Exorcist and The Sixth Sense. Read my review of The Conjuring HERE. There were talks about a sequel back then, and true enough, three years later in the present 2016, it is back with The Conjuring 2. 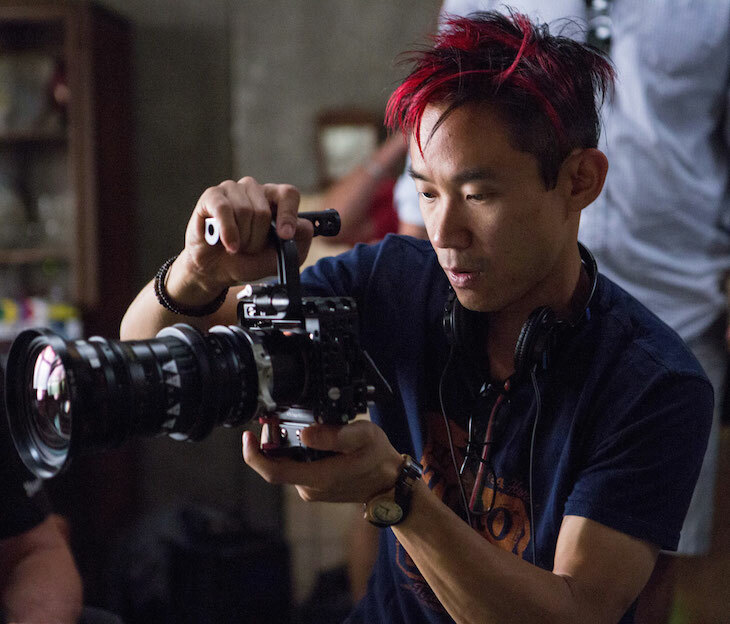 As the movie was again directed by James Wan and with both Wilson and Farmiga reprising their roles, I knew I just had to watch it! 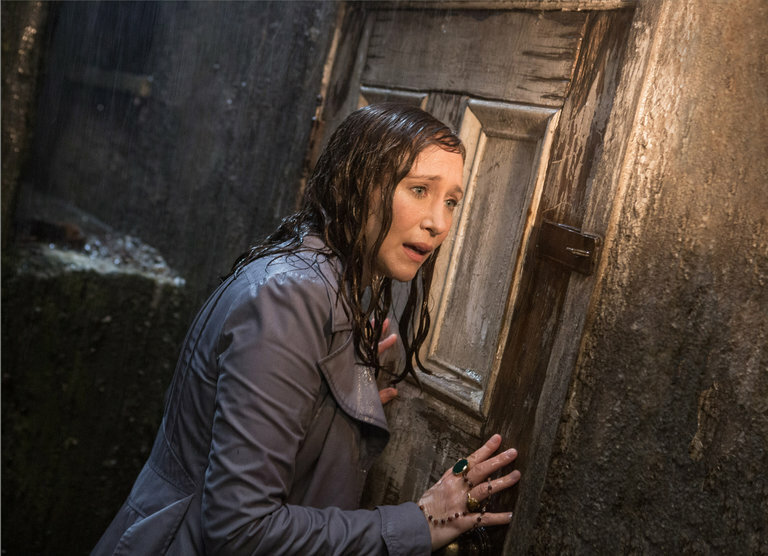 In any case, I knew that even if the movie isn't scary, at least it would be somewhat entertaining simply because James Wan is the director and my favourite actress is in it - yes, she's none other than Vera Farmiga - and guess what? She did not disappoint! Oh, by the way, I love how they dressed up to resemble the 1970's era. 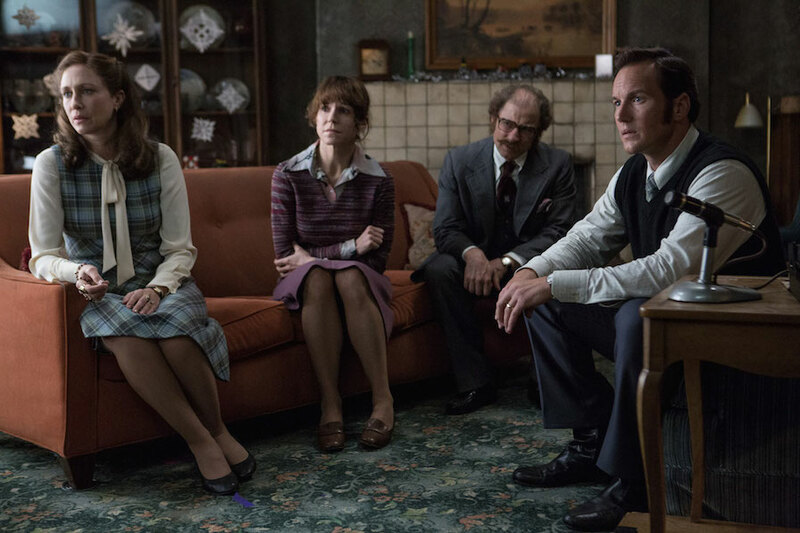 If you are not too busy getting scared, do check out their nice 70's wardrobe! 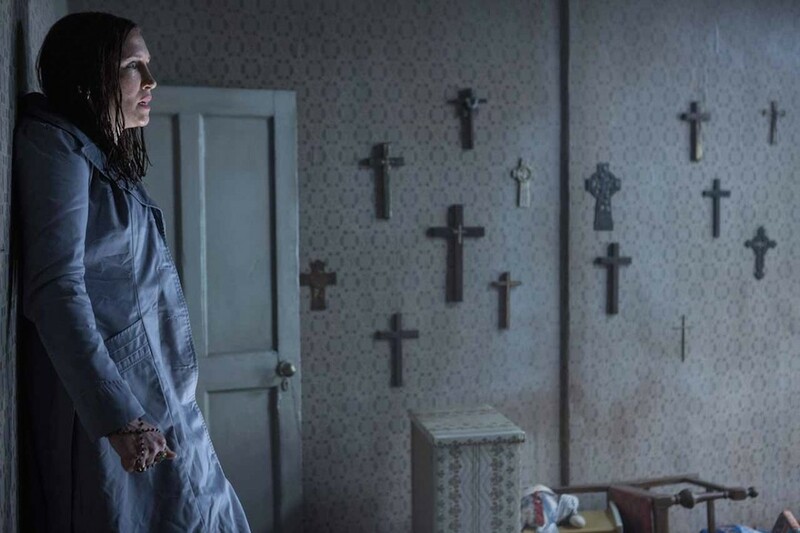 And yes, this sequel also reveals the answer we all wanted to know from the first Conjuring movie - what did Lorraine Warren see during an exorcism rite that made her locked herself up in her room for eight days. It will actually provide the basis for the second movie although they do not seem related at first. 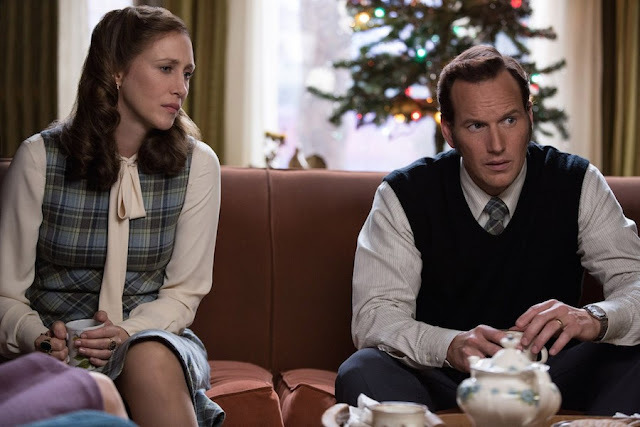 But if you are one of those people who have not watched the first movie, there is no problem watching The Conjuring 2 as the story is different. Although both centred around the Warrens, they are dealing with two different hauntings. The first movie involved the Perrons in Rhode Island, while the second one is about the Hodgsons thousand of miles away in Enfield, north London. Both movies claimed to be "based on a true story", and probably that's what makes them scarier. Of course, you do need to take these claims with a pinch of salt as we all know factual documentaries don't sell that well, but well-made fiction do! If you have not heard about the famous real-life Enfield poltergeist hauntings, then The Conjuring 2 may just be the movie to introduce you to it. SPOILER ALERT beyond this point!!! The Conjuring 2 begins with Ed and Lorraine investigating the infamous "Amityville House" murders where Ronald deFeo Jr. shot and killed six members of his family years earlier. Although the Amityville hauntings were debunked as a hoax in real life (critics said the killings were merely a homicidal act and not demonic in nature as claimed), the Warrens had insisted that it is not a hoax. 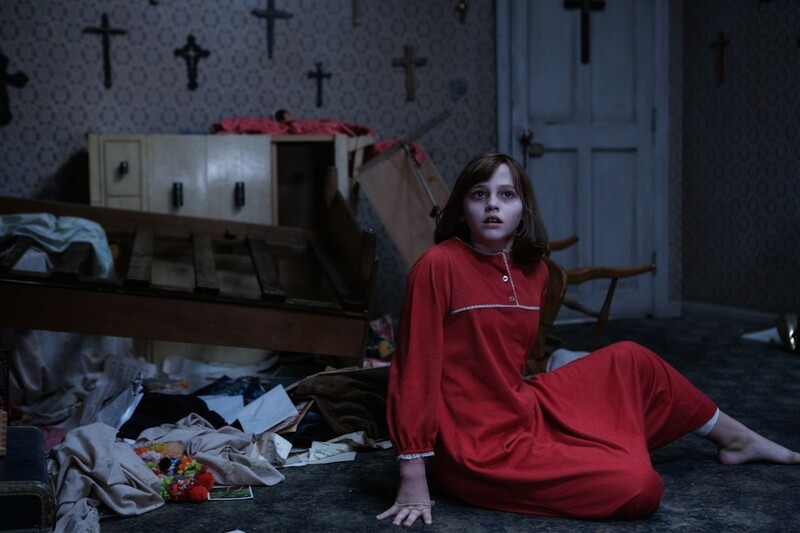 In the movie, Lorraine had an out-of-body experience during a seance at the Amityville house. She witnessed the shotgun murders and even saw something that led her to say "This is as close to hell as I ever want to get." Then the scene switches over to Enfield, England (complete with the cool song "London Calling" by The Clash playing in the background - gosh! I love the choice of songs in this movie!) 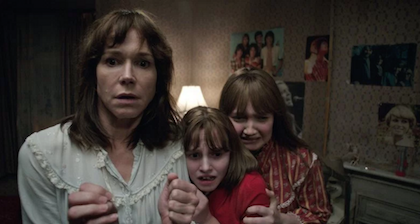 where we are introduced to single mother Peggy Hodgson (played by Frances O'Connor) and her four children living in a dark and damp council townhouse. 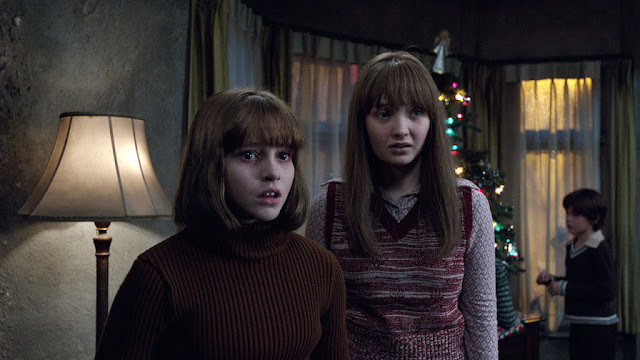 The trouble begins when Peggy's 11 year old daughter Janet Hodgson (played exceptionally well by Madison Wolfe) started messing with the Ouija board and ended up being possessed by the spirit of an old man named Bill Wilkins. The poltergeist activities in their house soon got out of hand and the church had to call the Warrens to step in to investigate. I have to admit that a lot of the scenes in the movie are familiar and could be found in scores of other horror movies - things like loud banging on the door, TV switching on and off, toy train moving on its own, bedsheet gets yanked, even a little girl talking in an old man's voice - all cliched, yet for some reason, they don't seem boring to me. Perhaps this is James Wan's magic at work? 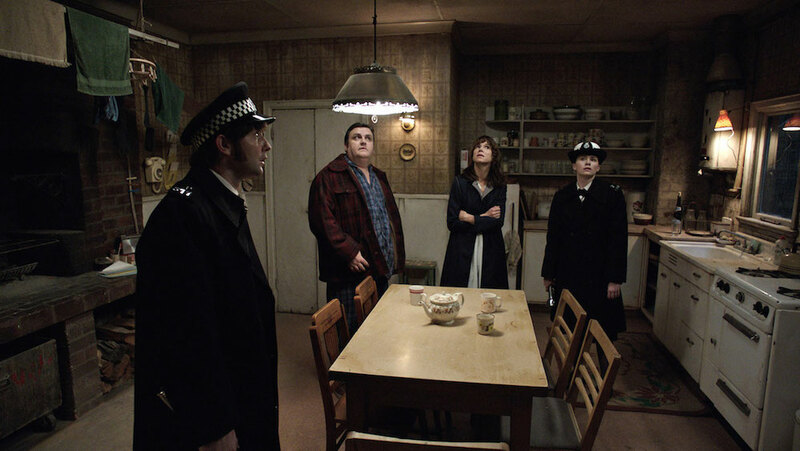 There is an amusing scene where two policemen visited the Hodgsons' house and after witnessing a chair moving on its own accord, they told Peggy that "this is a bit beyond us". Lol. Interestingly, the Enfield hauntings is also widely regarded in real life as a hoax by some critics. 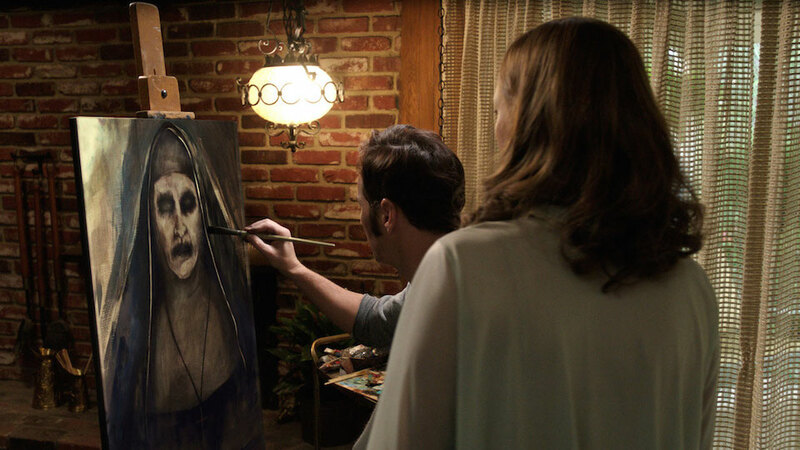 This seems to draw some parallel to the controversial Amityville incident. 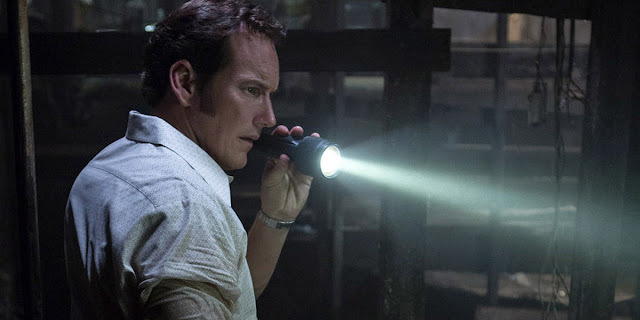 Add in the Warrens' not-so-good reputation in real life (some people regarded them as frauds) and it must be quite a challenge to make a movie that is well balanced between authenticity and entertainment! 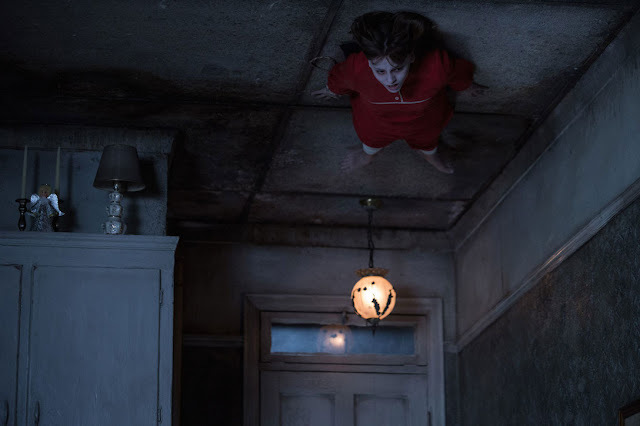 However, the movie cleverly took advantage of all the controversies and brilliantly played along, even to the extent of suggesting that what happened at Enfield was a hoax all along with the proof of a video recording... until that last minute twist near the ending. There is also a scene where the Warrens' reputation was put on the line. They were interviewed on live TV and being criticised by Stephen Kaplan for promoting hogwash with their Amityville investigation. Not familiar with this man Stephen Kaplan, I googled his name and was surprised that he's actually a paranormal investigator himself and not only that, he's also a vampirologist! Hmm, I really wonder if this live TV interview really happened in real life or just a fictional adaptation by the film makers. Conjuring 2 was not particularly scary to me, but I do have some favourite scary scenes. 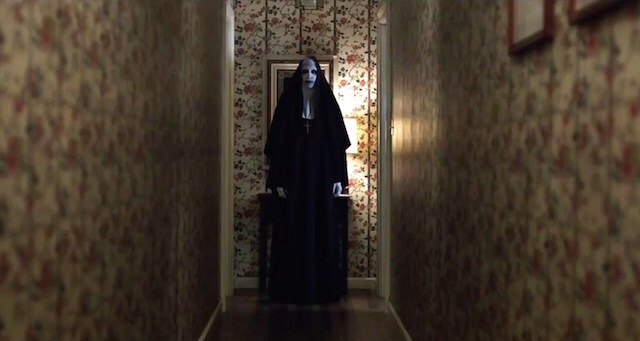 One of them is this scene where Lorraine's daughter saw the demonic nun Valak in the hallway of their home. This shot is very creepy and the haunting music by Joseph Bishara seems to heighten the creepiness. And the scene where the painted Valak picture flew across the room towards Lorraine was intense! 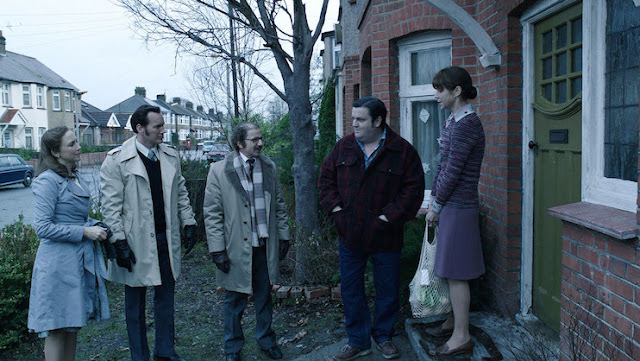 I also liked how Enfield was always raining. It added a gloomy atmosphere that is so perfect for a horror movie. This scene where Janet and Lorraine met for the first time was truly memorable for me. 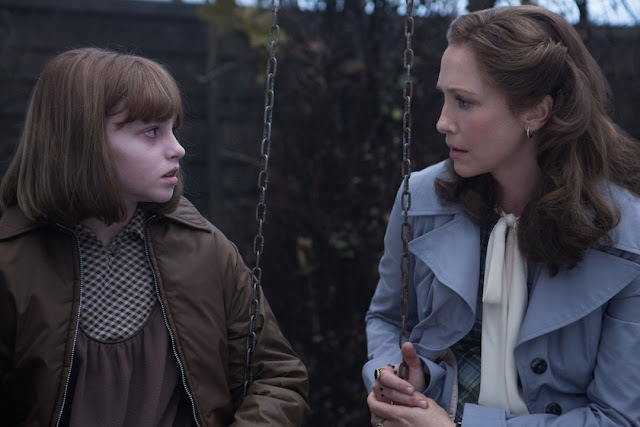 It showcases excellent and strong acting skills (Oscar-worthy performances even) from both Madison Wolfe and Vera Farmiga. In fact, I can still remember part of their dialogues. Janet : It said it wants to hurt you. Lorraine : When did it say that? Gosh, when Janet said the words "Right now" it was so chilling that I felt an enormous dread falling upon Lorraine. The rest of the cast gave quite commendable performances too. 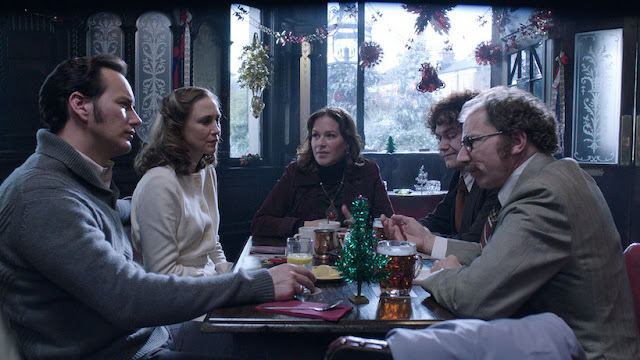 I also like the idea of throwing in a second paranormal investigator, Maurice Grosse (played by Simon McBurney) and a skeptic, Anita Gregory (played by Franka Potente). 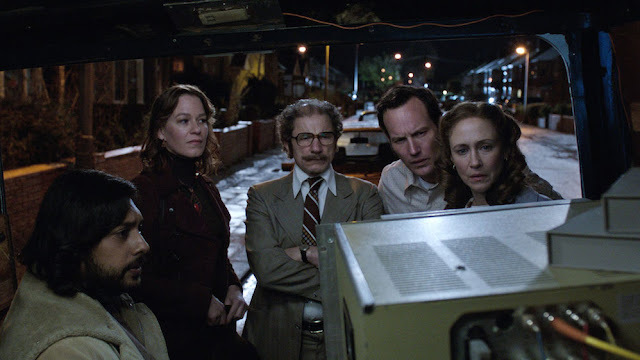 At first, I thought these characters are fictional and thrown in to spice up the story but the end credits where they show the real photos of the original persons proved me wrong. I have to mention that the camera work in this movie was brilliantly done. I particularly like the scene where Janet, presumably possessed by Bill Wilkins, was sitting in the rocking chair behind Ed Warren but her image is blurred while the camera solely focused on Ed's face, leaving our imagination to work overtime on what is happening behind him! Excellent stuff. Although this movie has its fair share of jump scares, it's really the atmosphere, the music and the 70's ambience that really got to me. Perhaps some of the scariest movies like The Exorcist and The Omen belong to the 70's. And how could I forget those posters of David Soul and Paul Michael Glaser plastered on the girls' bedroom wall? So 70's! There is only one thing I didn't like about this movie. It is the tall and long-limbed Crooked Man. It looks more like a monster to me and seems out of place for a ghost movie. Personally, I feel it would be better if they leave him out. The scene showing the crosses all turning upside down was fairly intense and dramatic, although not that scary to me, until I got a jolt from the cheap scare of the ghost jumping out from the corner of the screen. The basement scene where Ed tried to fix the leaking pipes was rather suspenseful, but nothing that really made me sat in my seat in fear. 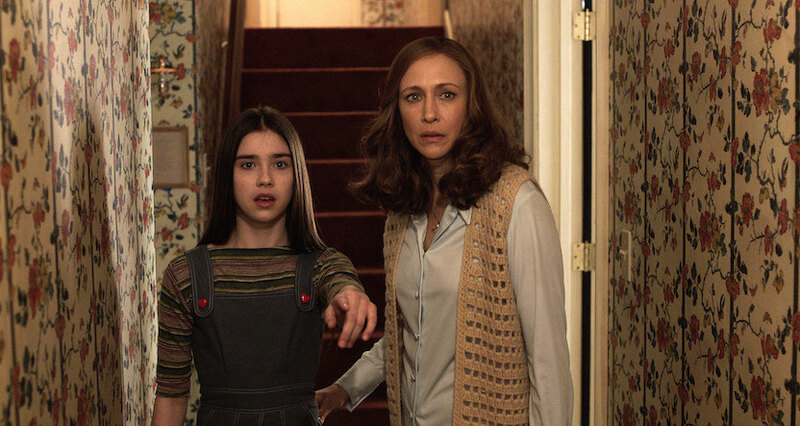 Compared to the first movie, I feel Conjuring 2 is less scary but more interesting. Some say it is more like a love story than a horror movie, and perhaps they are right. It's more about the loving relationship between the Warrens and how Lorraine ultimately saved her husband. Perhaps the movie felt a bit too long at 2 hours and 14 minutes. It could definitely be tighter, and shorten to just 2 hours, maybe? I thought the scene where Ed Warren sings Elvis Presley's Can't Help Falling In Love in front of the children was a nice touch. It's actually one of my favourite non-scary scenes in the movie. And that song by the Bee Gees - I Started A Joke - that almost made me cry. It was just so fitting. The twist towards the end was inevitable. I would be very disappointed if the whole Enfield case was completely fake. Then where would the demonic nun Valak fit in? So yes, I expected the twist. The ending sequence is pretty exciting, although I think it could be even more exciting. The battle with Valak was just too short and easy for me! There's however one thing I do not quite understand - if knowing the name of the demon is key to casting him back to hell, why would the demon tell Lorraine his name in the first place? Make sure you remain seated after the movie ends to watch the end credits! The real recordings of Janet Hodgson speaking in the demonic voice is revealed. Also the real photos of the Hodgsons and other people involved in the case are shown too. I guess this is a good idea to make the story more believable and to strengthen their "based on a true story" claim. 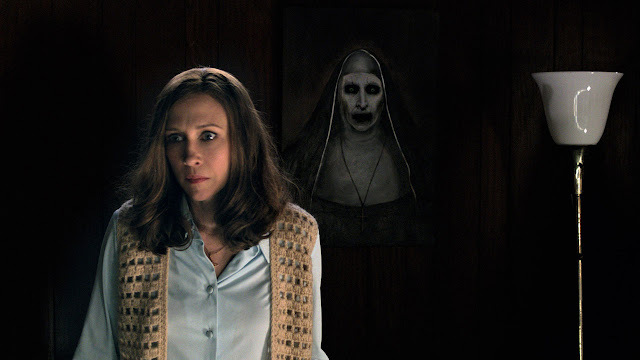 But if you watch carefully, you will also notice that the film makers have sneakily inserted shots of the hideous Valak in between, though they are very brief but just enough to ingrain the images into your subconscious. Will there be a Conjuring 3 next? I certainly hope so! *Warning Note : Scariness is subjective. I have watched too many ghost stories and horror movies to get scared anymore. My 5/10 may turn out to be 8/10 for you.